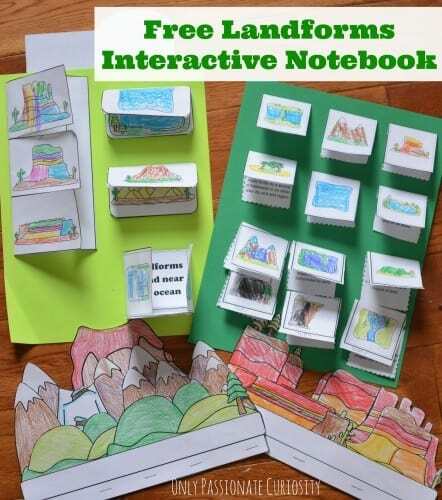 You may rethink not using lapbooks or interactive notebooks after trying this new Landforms Interactive Notebook Pack in your homeschool. Using this pack is super easy and many of the elements are open ended so that younger students can use the elements to simply label the landforms. Older students can write definitions, as well as use an atlas to write where an example of each landform can be found. It is super useful to be able to use this notebook for a range of ages! This also includes a printable Visual Guide to Landforms to help you out while you teach. Click HERE for Only Passionate Curiosity’s FREE Landforms Interactive Notebook Pack.